It seems fitting in a perverse way that one of the most American-sounding records on this set was made by a band from a Soviet-bloc country only recently run over by Warsaw Pact tanks for excessive Westernization. 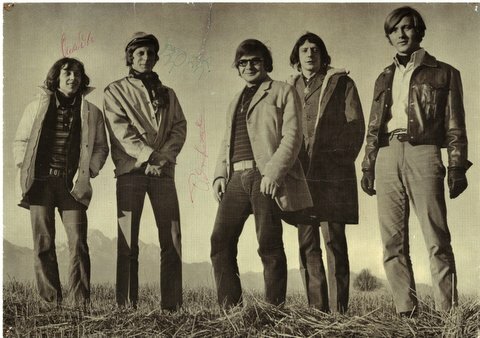 With melodic, Beatlesque pop-rock songs such as “Já budu chodit po špi kách” and “Povídej,” Petr Novák was one of the biggest Czech pop stars of the mid-to-late ’60s, along with his backing band George & The Beatovens. In late 1968, just after the Soviet occupation of Czechoslovakia, Novák and his band were allowed to visit Finland, which practically alone among Western countries maintained close cultural and other links with Eastern Europe. During their visit they recorded four English-language songs, of which two were released on a rare single. “Be My Daughter,” the A side, was a rather unremarkable pop tune; but once again, the B side is something completely different. Novák’s lovesick pleading, the stop-start rhythm and the whining organ make “Why Do You Leave Me” sound amazingly like the garage ballads many obscure US bands were doing two or three years earlier. After the restoration of hardline communist rule, Novák quickly fell into disfavour with the Czechoslovakian authorities. He was never officially banned from performing, but concert promoters were encouraged not to give him work, and George & The Beatovens disbanded in 1972. 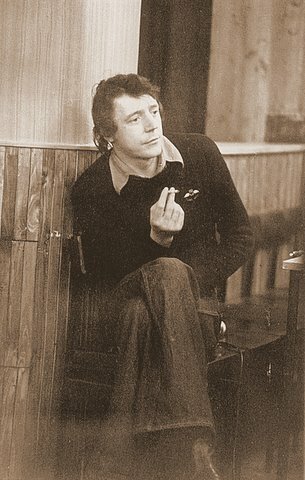 Although Novák continued to write and record music, he fell into a spiral of alcoholic degeneration from which he never recovered before his death in 1997.